International Media Centre – G20 Hamburg Summit. The logistical organisation of the G20 Summit in Hamburg has been conducted in a polished manner, even in the face of thousands of protesters. A sign perhaps of Germany’s experience of hosting another major summit just two years previously, but also the importance the German Chancellor places on the format of the G20 as a place to provide solutions to global issues and the ensuing need for an efficient operation. However, it seems that the one thing that no manner of planning can compensate for is the current President of the United States of America. Already known for his twitter rampages, and the entirely unprofessional manner in which he conducts his office, Donald Trump has managed to excel even himself in antagonising fellow G20 leaders only hours before the summit begins. During a press conference in Poland the President declared that the ‘West’ must defend its civilisation from terrorism and the erosion of tradition, before jumping on Air Force One for the flight to Hamburg. 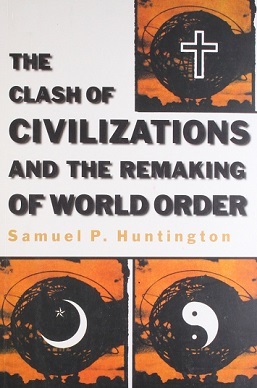 It seems unlikely that Donald Trump has bothered to read Samuel Huntington’s Clash of Civilisations. Rather, it is clear that Steve Bannon’s nationalist rhetoric is on the up once again in the White House. This form of us-vs-them global policy making has the headline grabbing weight that Trump enjoys, while placating his domestic supporters that he is sticking one in the eye to everyone else, but doesn’t provide a stable position from which to engage with negotiations with world leaders who actively do not identify as ‘Western’. This isn’t the first time that Donald Trump has effectively put both feet in his mouth prior to meeting world leaders. But the fact that he hopes to make progress with Russia’s President Putin over Syria, and Chinese President Xi Jinping over North Korea means that he has already undermined American foreign policy. The establishment of any agreements between the leaders at the G20 will have to navigate an America First platform that sees Russia and China as civilisations that threaten the traditions and values of the United States and its Western allies. That President Trump made this speech in Poland was no coincidence. It was designed to send a message to Russia that America will not accept the spread of Russian influence in Eastern Europe, nor will it accept the spread of values that are not conducive to Western traditions. The fact that the President’s senior advisor predicted a clash between the United States and China as a civilisational conflict does not obscure the belief of some on the right in America of seeing the Russian Orthodox culture as a direct threat to Western traditions. The fact that the relationship between the Trump presidential campaign and Russia continues to be investigated only adds weight to the impetus for the Trump administration to ramp up the us-vs-them rhetoric to distract from domestic criticism. The fact that the G20 is presented as a more diverse cultural and political forum for discussing issues of global import seems to fly directly in the face of the Trump administration’s priorities. If Chancellor Merkel was hoping for a constructive and forward thinking summit environment it seems she may be disappointed. As the German officials roll out the red carpet and the TV cameras film President Trump stepping out of Air Force One, the mood amongst the world leaders gathered in Hamburg cannot be one of hope in finding a mutually agreeable series of commitments from the most powerful man on earth.